About the Book: School is out for the summer and Pablo Perez, his sister, Pia, and their cousin, Kiki Flores, visit the Bar-7 ranch in New Mexico. The young Missourians have come to help their Uncle Antonio with the annual cattle roundup. 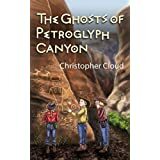 Uncle Antonio introduces his nephew and nieces to hundreds of primitive petroglyphs that have been chiseled into the walls of a nearby canyon—Petroglyph Canyon. The primitive rock drawings are part of Uncle Antonio’s sprawling cattle ranch. Sadly, looters are routinely excavating the ancient drawings with high-tech rock saws. Uncle Antonio believes the looters are selling the glyphs. 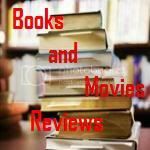 My Review: I became a fan of this author after reading his wonderful novel "Adelita's Secret". Although this particular book is supposed to be a children's book, I thought about giving it a shoot, and I am not disappointed at all for giving it an opportunity. The book is well written, and the plot is very intelligent. The author makes our young characters to be the hero/heroines of this story, and that definitely will captivate the attention of our young readers, increasing their will to read more and more. This is the perfect book to give as a gift to any young reader, but even adults will enjoy this very well written book. All the characters are well developed and I particularly loved Charlie Pecos and Pia. The plot develops in a nice pace and there are some twists in the story that you will love. This book will keep the reader entertained for some hours. It took me about six hours to read the whole book. Kudos to Mr. Christopher, that is proving to be a very versatile writer, producing excellent pieces on different themes. Very impressive!